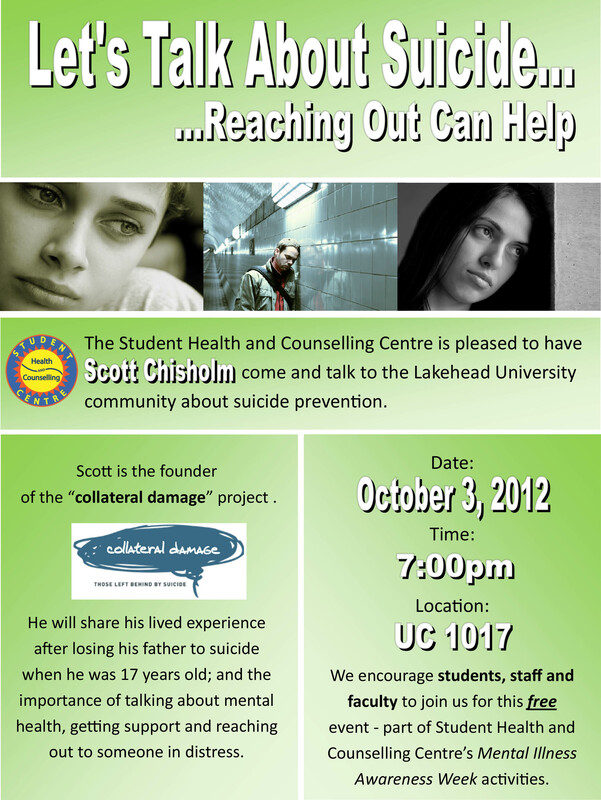 I will be speaking at Lakehead University on Wednesday October 3rd at 7:00 pm in UC1017. Bring a friend and join us for an open dialogue on suicide prevention. We’ll be talking about mental health, getting support and reaching out to someone you might be worried about. I will share my personal story and talk about how that became the starting point for the Collateral Damage Project. This entry was posted in News, Presentations and talks by Scott Chisholm. Bookmark the permalink.